Home » The Self » What is the Self-Determination Theory of Motivation? You may be most familiar with the term “self-determination” in the context of foundational government documents and speeches from people long-dead. It’s true that traditionally, self-determination has been more frequently used in a diplomatic and political context to describe the process a country undergoes to assert its independence. However, self-determination also has a much more personal and psychology-relevant meaning today: the ability or process of making one’s own choices and controlling one’s own life. Self-determination is a vital piece of psychological well-being; as you may expect, people generally like to feel in control of their own lives. In addition to this idea of controlling one’s own destiny, there is a lot more to learn about self-determination from the field of psychology, and you can discover it through Self-Determination Theory. 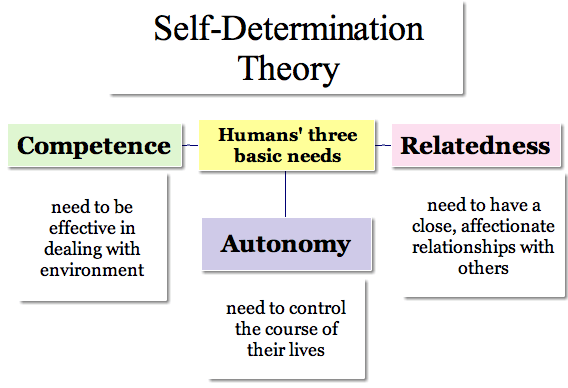 What is the Meaning of Self-Determination Theory? Self-Determination Theory, or SDT, is a theory that links personality, human motivation, and optimal functioning. It posits that there are two main types of motivation—intrinsic and extrinsic—and that both are powerful forces in shaping who we are and how we behave (Deci & Ryan, 2008). It is a theory that grew out of researchers Edward L. Deci and Richard M. Ryan’s work on motivation in the 1970s and 1980s. Although it has grown and expanded since then, the basic tenets of the theory come from Deci and Ryan’s seminal 1985 book on the topic. According to Deci and Ryan, extrinsic motivation is a drive to behave in certain ways that comes from external sources and results in external rewards (1985). Such sources include grading systems, employee evaluations, awards and accolades, and the respect and admiration of others. On the other hand, intrinsic motivation comes from within. There are internal drives that motivate us to behave in certain ways, including our core values, our interests, and our personal sense of morality. 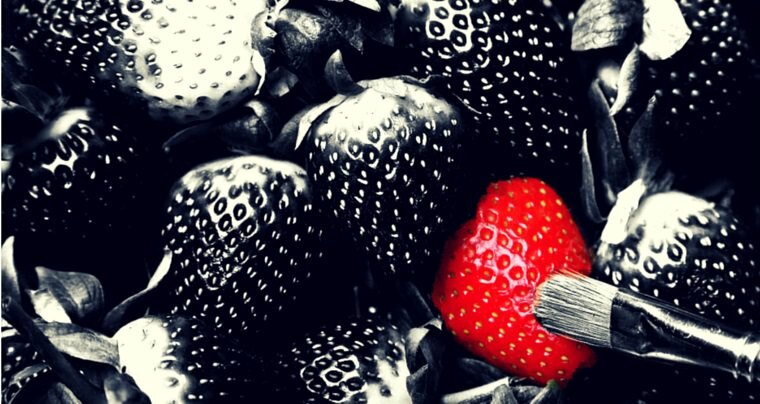 Although it might seem like intrinsic motivation and extrinsic motivation are diametrically opposed—with intrinsic driving behavior in keeping with our “ideal self” and extrinsic leading us to conform with the standards of others—there is another important distinction in the types of motivation. SDT differentiates between autonomous motivation and controlled motivation (Ryan & Deci, 2008). Autonomous motivation includes motivation that comes from internal sources, but it also includes motivation from extrinsic sources if the individual has identified with an activity’s value and feel it aligns with their sense of self. Controlled motivation is comprised of external regulation—a type of motivation in which the individual’s behavior is directed by external rewards and punishment—and introjected regulation, or motivation that comes from only partially internalized activities and values and motives such as avoiding shame, seeking approval, and protecting the ego. When an individual is driven by autonomous motivation, he or she feels self-directed and autonomous; when the individual is driven by controlled motivation, he or she feels pressure to behave in a certain way and experience little to no autonomy (Ryan & Deci, 2008). However, we are rarely driven by only one type of motivation or the other; we are complex beings with many different goals, desires, and ideas about what we want and need. Instead of thinking about motivation as being at one polar end or the other, it is useful to think of it as a continuum from non-self-determined to self-determined. At the left end of the spectrum, we have amotivation, in which an individual is completely non-autonomous, has no drive to speak of, and is likely struggling to have any of their needs met. In the middle, we have several levels of extrinsic motivation. One step to the right of amotivation is external regulation, in which motivation is exclusively external and regulated by compliance, conformity, and external rewards and punishments. The next level of extrinsic motivation is termed introjected regulation, in which the motivation is somewhat external and is driven by self-control, efforts to protect the ego, and internal rewards and punishments. In identified regulation, the motivation is somewhat internal and based on conscious values and that which is personally important to the individual. The final step of extrinsic motivation is integrated regulation, in which the individual is beginning to be motivated by intrinsic sources and the desire to be self-aware and act in congruence with his or her core values and sense of self. The right end of the continuum shows an individual entirely motivated by intrinsic sources. In intrinsic regulation, the individual is self-motivated and self-determined, and driven by interest, enjoyment, and the satisfaction inherent in the behavior or activity he or she is engaging in. Autonomy: people have a need to feel that they are the masters of their own destiny and that they have at least some control over their lives; most importantly, people have a need to feel that they are in control of their own behavior. Competence: another need concerns our achievements, knowledge, and skills; people have a need to build their competence and develop mastery over tasks that are important to them. Relatedness (also called Connection): people need to have a sense of belonging and connectedness with others; each of us needs other people to some degree (Deci & Ryan, 2008). According to the developers of SDT, Deci and Richard M. Ryan, individual differences in personality result from the varying degrees to which each need has been satisfied—or thwarted (2008). The two main aspects on which individuals differ include causality orientations and aspirations or life goals. Autonomous: all three basic needs are satisfied. Controlled: competence and relatedness are somewhat satisfied but autonomy is not. Impersonal: none of the three needs are satisfied. Aspirations or life goals are what people use to guide their own behavior. They generally fall into one of the two categories of motivation mentioned earlier: intrinsic or extrinsic. Deci and Ryan provide affiliation, generativity, and personal development as examples of intrinsic life goals, while they list wealth, fame, and attractiveness as examples of extrinsic life goals (2008). Aspirations and life goals drive us, but they are considered learned desires instead of basic needs like autonomy, competence, and relatedness. According to CET intrinsic motivation can be facilitating or undermining, depending on the social and environmental factors in play. Referring to the Needs Theory, Deci & Ryan (1985,2000) argue that interpersonal events, rewards, communication and feedback that gear towards feelings of competence when performing an activity will enhance intrinsic motivation for that particular activity. However, this level of intrinsic motivation is not attained if the individual doesn’t feel that the performance itself is self- determined or that they had the autonomous choice to perform this activity. The first is competence so that the activity results in feelings of self-development and efficacy. The second is the need for autonomy that performance of the chosen activity was self-initiated or self-determined. Thus for CET theory to hold true, motivation needs to be intrinsic and have an appeal to the individual. It also implies that intrinsic motivation will be enhanced or undermined depending on whether the needs for autonomy and competence are supported or thwarted respectively. It is believed that the use of the needs for autonomy and competence are linked to our motivations. Deci conducted a study on the effects of extrinsic rewards on people’s intrinsic motivation. Results showed that when people received extrinsic rewards (e.g., money) for doing something, eventually they were less interested and less likely to do it later, comparing to the people who did the same activity without receiving the reward. The results were interpreted as the participants’ behavior, which was initially intrinsically motivated, became controlled by the rewards which lead to an undermined sense of autonomy. This concept is beautifully explained in this video by RSA animate. The second sub-theory is Organismic Integration Theory (OIT) that argues that extrinsic motivation depends on the extent to which autonomy is present. In other words, extrinsic motivation varies according to the internalization and integration of the value of the activity. Internalization is how well the value of an activity is felt while integration explains the process of individual transformation from external regulation to their own self-regulated version (Ryan & Deci,2000). For instance, school assignments are an externally regulated activity. Internalization in this situation can be understood as the child seeing the value and importance of the assignment while integration in this situation would be the degree to which he perceives performing the assignment as his own choice. The OIT thus offers us a greater perspective on the different levels of extrinsic motivation that exist and the processes of internalization and integration, which could eventually result in the autonomous choice of performing the activity for its intrinsic perceived joy and value. To understand self-determination theory, it can be useful to see some examples of people who are high in self-determination, or thinking and acting in an autonomous and intrinsically motivated fashion. Believes she is in control of her own life. Takes responsibility for her own behavior (taking credit and blame when either is warranted). Is self-motivated instead of driven by others’ standards or external sources. Determines her actions based on her own internal values and goals. For example, imagine a high school student who fails an important test. If she is high in self-determination—feels responsible for her actions, believes she is in control of her behavior, etc.—she might tell her parents that she should have spent more time studying and that she plans to carve out some extra time to study. Her plan of action would be the same whether her parents were upset and disappointed or apathetic because she is motivated by an internal desire to be competent and knowledgeable. If this same student is low in self-determination—feels that she is not in control of her life and that she is a victim of circumstance—she might blame the teacher for giving a tough test that he didn’t prepare his students for. She may blame her parents for not helping her study or her friends for distracting her. She might even blame nobody in particular because she doesn’t really care about her grade. If she does care about her grade, it is not due to an internal desire to do well, but a desire to win her parents’ approval, bolster her ego by getting the best grade in the class or impress her teacher with her knowledge. 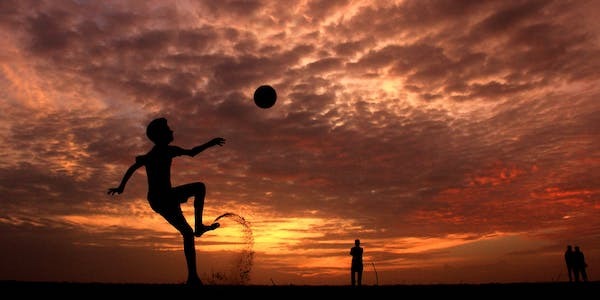 The man who decides to pick up a new hobby because he thinks he’ll enjoy it is exhibiting self-determination, while the man who picks up a new hobby because it seems prestigious or impressive is not. Similarly, the woman who blames all of her ex-lovers for ruining their relationships is not displaying self-determination; the woman who takes responsibility for her part in contributing to unhealthy or unhappy past relationships is showing self-determination. You have probably spotted the theme here: those who take responsibility for their actions and do things because they align with their own personal values and goals are self-determined, and those who blame others, see themselves as constant victims and do things solely for external approval or recognition are not. If you’re interested in using a questionnaire or scale to measure self-determination, this website is an excellent resource. Feel free to use any of them for academic or research purposes, but please note that to use any of the scales for commercial purposes, you will need to seek permission from Edward L. Deci and Richard M. Ryan. They list 17 questionnaires that are either directly or indirectly related to self-determination theory. These questionnaires are listed below. This scale measures the extent to which seven broad goal domains motivate the individual, including wealth, fame, image, personal growth, relationships, community contribution, and health. Respondents rate the importance of each aspiration, their beliefs about the likelihood they will attain each, and the degree to which they have already attained each. You can find the complete packet for this scale here. This scale was developed to assess the extent to which the individual feels each of the three basic needs—autonomy, competence, and relatedness—have been satisfied in his or her life. This scale has been developed for several contexts, like work and relationships, but there is a more general form as well. You can learn more about this scale or download a version for your own use here. The CRIS, also known as the Religion Self-Regulation Questionnaire or SRQ-R, can determine the reasons why an individual engages in religious behavior. The scale is divided into two subscales: Introjected Regulation, representing the more externally motivating factors, and Identified Regulation, representing the more internally motivation factors. There is a long form version with 48 items and a shorter, psychometrically sound 12-item version. Click here to learn more about the CRIS. The General Causality Orientations Scale, or GCOS, can determine the degree to which the respondent embodies the three orientations: the autonomy orientation, the controlled orientation, and the impersonal orientation. The GCOS presents vignettes, or descriptions of common social or achievement-oriented situations, and asks respondents to indicate how typical each of three responses is for them on a 7-point Likert scale. It is also available in a long form (17 vignettes and 51 items) and a short form (12 vignettes and 36 items). You can learn more about the GCOS or download it at this link. The HC-SDT is comprised of three scales that measure self-regulation (SRQ), perceived competence (PCS), and perceived autonomy supportiveness of healthcare climate (HCCQ), three self-determination constructs related to health behaviors. The scales target four health behaviors: smoking cessation, diet improvement, exercising regularly and drinking responsibly. Click here to learn more about the HC-SDT. The IAF measures trait autonomy based on three subscales: authorship/self-congruence, interest-taking, and low susceptibility to control. The first subscale assesses the degree to which the individual views his behavior as under his control and the consistency among his behaviors, attitudes, and traits. The second assesses his ongoing insight into himself and his experiences in an open-minded manner, and the third assesses the absence of internal and external pressures as motivators for his behavior. You can download the scale at this link. This scale was developed for use in experiments, and measures the extent to which respondents found an activity interesting or enjoyable, their perceived competence at the task, the effort they put into the task, how valuable or useful they found it, how much tension or pressure they felt, and how much choice they felt they had while completing it. The interest/enjoyment subscale is considered the individual’s self-reported level of intrinsic motivation in the experiment. Click here to download the scale and learn more. The MAAS may be familiar to you if you’ve read any of our pieces on mindfulness. It provides a measure of “receptive awareness and attention to present-moment events and experience.” It consists of 15 items, all of which comprise a single factor. SDT co-developer Richard M. Ryan developed this scale with another colleague in 2003. Click here to learn more about this scale and see suggested reading on mindfulness. The Motivators’ Orientation set of questionnaires measures the extent to which an individual in a supervisory capacity tends to be autonomy-supportive versus controlling. There are two questionnaires designed for specific contexts: the Problems in Schools Questionnaire (PIS) is designed for teachers, while the Problems at Work Questionnaire (PAW) is designed for managers in a work environment. Each questionnaire requires respondents to read eight vignettes and rate four behavioral options on appropriateness for the situation. The four options represent four tendencies: Highly Autonomy Supportive (HA), Moderately Autonomy Supportive (MA), Moderately Controlling (MC), and Highly Controlling, (HC). You can learn more about these scales here. The MPAM-R assesses the strength of five different motivations for participating in a physical activity like team sports, aerobics, or weight lifting: (1) fitness, (2) appearance, (3) competence/challenge, (4) social, and (5) enjoyment. The results of this scale can reliably predict behavioral outcomes like attendance, persistence, and maintained participation, as well as constructs like mental health and well-being. You can find more information on this scale at this link. This is a set of scales that measures the individual’s perceptions of the extent to which a particular social context is autonomy-supportive or controlling. It includes the aforementioned health care climate questionnaire (HCCQ) as well as scales on the learning climate (LCQ), the work climate (WCQ), the sports climate (SCQ), and the parental autonomy support climate (P-PASS). Respondents rate the autonomy supportiveness of the context on a 7-point scale, with higher scores indicating greater autonomy support. There are two versions for each scale: a long, 15-item version and a short, 5-item version. Click here to learn more about these scales. This scale, which was previously known as simply the Self-Determination Scale (SDS), measures individual differences in perceived choice, or the feeling that one has choices in how to behave, and awareness of self, or the awareness of one’s own feelings and sense of self. The PCASS is only 10 items long and is composed of two 5-item scales (one for each construct). Follow this link to learn more about the PCASS. The PCS is a short questionnaire that measures perceived competence in a specific behavior or area. It is only 4 items long, and it is intended to be adapted for the specific behavior or area being studied. Click here to learn more about the PCS. This scale for children was designed to measure how autonomy-supportive or controlling they perceive their parents to be. There are two versions of this scale: a 22-item version for children 8 years or older, and a 42-item version for college students. You can learn more about this scale and the two versions here. The SRQ scales measure individual differences in regulation or motivation of behavior. There are seven self-regulation questionnaires listed on the website: the Academic Self-Regulation Questionnaire (SRQ-A) and the Prosocial Self-Regulation Questionnaire (SRQ-P), both of which are intended for children, and the Treatment Self-Regulation Questionnaire (TSRQ), the Learning Self-Regulation Questionnaire (SRQ-L), the Exercise Self-Regulation Questionnaire (SRQ-E), the Religion Self-Regulation Questionnaire (SRQ-R), and the Friendship Self-Regulation Questionnaire (SRQ-F), which are all intended for adults. You can find these questionnaires at this link. The Subjective Vitality Scale, or VS, assesses the extent to which an individual feels alive, alert, and energetic—a vital aspect of well-being. There are two versions, one of which considers individual differences (vitality as a trait or characteristic), while the other measures vitality as a more transitory experience (vitality as a state). The items are generally the same, only the timeframe differs (long-term and stable for the trait version vs. short-term and fluctuating for the state version). The original scale consisted of 7 items, but a shorter, 6-item version has proven to be even more sound than the original. You can learn more about the scale here. Finally, the TMQ is used to assess motivation for receiving treatment. It measures the strength of four types of motivation on treatment attendance and compliance behaviors: intrinsic motivation, identified regulation, introjected regulation, and external regulation. You can download the scale or learn more about it here. If you’re interested in assessing more traits and behaviors, please see our piece on mindfulness scales and questionnaires. As you might expect, SDT has a lot to say about goals and goal striving. The theory proposes that not only is the content of our goals (i.e., what we strive for) important for our need satisfaction and well-being, the process of our goals (i.e., why we strive for them) is just as influential on our well-being. 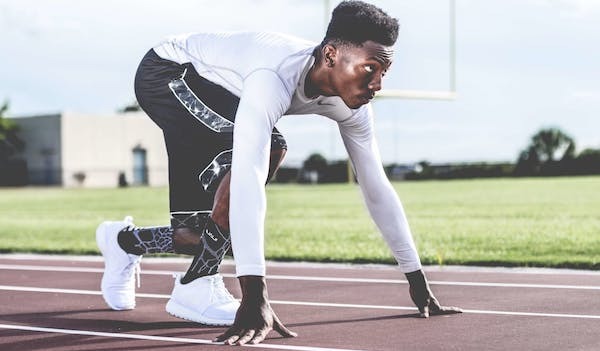 Research has shown that the degree to which behavioral regulation of goal striving was autonomous (or self-directed) versus controlled was a significant predictor of well-being outcomes. In other words, we are more satisfied and successful when we are able to pursue our goals in our own way rather than being kept to a strict, external system of regulation. Even when pursuing extrinsic rewards like wealth or fame, we are more satisfied and self-actualized when we pursue them autonomously, for our own reasons and with our own methods (Deci & Ryan, 2000). Further research on SDT and goals has confirmed the connection between success and autonomy and supported the idea that success is also more likely when our goals are intrinsic and intended to satisfy our basic needs. It has also found that success in goal-striving is more likely when we are supported by empathetic and supportive people, rather than controlling or directive people (Koestner & Hope, 2014). It’s easy to see how SDT applies to education; students are much more likely to learn and succeed in school when they are intrinsically motivated by their need for competence than when they are extrinsically motivated by teachers, parents, or the grading system. SDT is doubly important for children in special education and those with disabilities. These students are often struggling with meeting their need for autonomy, as many decisions are made for them and they may not have the physical or intellectual ability to be truly autonomous. Their disability may also interfere with their need for competence, as it can hamper their efforts to master tasks and develop their knowledge. Finally, those with disabilities—physical, mental, or both—often find it difficult to connect with their peers. All of these extra struggles explain why it’s vital for students with disabilities to have a sense of self-determination. Reflection on experiences (Field & Hoffman, 1994). Enhancing the self-determination of students with disabilities has been shown to result in many positive outcomes, including a greater likelihood of gainful employment and a higher chance of living independently in the community (Wehmeyer & Schwartz, 1997; Wehmeyer & Palmer, 2003). SDT has also generated some important insights about work motivation. While there are many theories about work motivation and engagement, SDT is unique in its focus on the “relative strength of autonomous versus controlled motivation, rather than on the total amount of motivation” (Gagné & Deci, 2005). Although the overall amount of motivation is certainly a factor, it’s important not to lose sight of the distinction between intrinsic and extrinsic motivators; for example, research has confirmed that, like in other contexts, SDT is correct in its assumption that extrinsic rewards are related to reduced intrinsic motivation. Further, there is evidence for a positive relationship between a manager’s autonomy support and his or her employees’ work outcomes. Research has also found that a manager’s autonomy support leads to greater levels of need satisfaction for his or her employees, which in turn boosts job satisfaction, performance evaluations, persistence, acceptance of organizational change, and psychological adjustment. Finally, there is support for a link between managerial autonomy and subordinate autonomy, performance, and organizational commitment, as well as a link between transformational or visionary leadership and followers’ autonomous (vs. controlled) goals (Gagné & Deci, 2005). Extrinsic rewards should be considered with caution; too few can lead to a sense that employees are not appreciated or fairly compensated and recognized, but too many can inhibit intrinsic motivation. Managers should support their employees’ need for satisfaction, especially autonomy; this can lead to happier and more competent employees as well as better organizational outcomes. When managers are themselves high in autonomy, their subordinates are likely to be high in autonomy as well, leading to better performance and higher organizational commitment. Good leadership encourages employees to set their own, autonomously conceived and regulated goals, which are more motivating and more likely to end in success than goals assigned to them by management. SDT is a foundational idea in social work: the idea that every person has a right to determine his or her own direction and make her or her own decisions in life. It is such a vital piece of the social work framework because—although every person has a right to self-determination—those who a social worker interacts with on a regular basis are likely to be those who are marginalized, disadvantaged, and disenfranchised in society (Furlong, 2003). Hence, it is vital for those in the social work profession to build the principle of self-determination into the core of their work. In practice, following the guidelines related to self-determination requires a constant commitment to allow and encourage clients to make their own decisions, with support and information from the social worker rather than direction and control. It also requires that a social worker be aware of his or her own values and beliefs to ensure that they are not influencing clients towards a direction they did not choose for themselves (Fanning, 2015). It’s a fine line to walk between looking out for the client’s best interests and allowing them to find their own way, which is one of the many reasons why social work is a challenging and demanding profession! SDT has also been fruitfully applied to research on sports participation and achievement. Unsurprisingly, intrinsic motivation is a far more impactful driver of behavior in terms of goal attainment than extrinsic rewards, and in no context is this fact easier to see than in sports. Those who are amotivated (not motivated by intrinsic or extrinsic factors) or motivated by external regulation and meeting external standards are more likely to drop out of sports teams or leagues. Those who are amotivated or externally motivated are generally lower in need satisfaction, specifically the needs of relatedness and autonomy (Calvo, Cervelló, Jiménez, Iglesias, & Murcia, 2010). Those who are autonomously motivated are more likely to adhere to exercise over time and enter the state of flow (a la Csikszentmihalyi’s theory of flow). Those who are autonomously motivated have a higher perceived competence and psychological well-being. Autonomous support from others encourages individuals’ autonomous motivation related to exercise. An internal locus of causality (versus external) promotes greater success in exercise endeavors (Hagger, & Chatzisarantis, 2008). 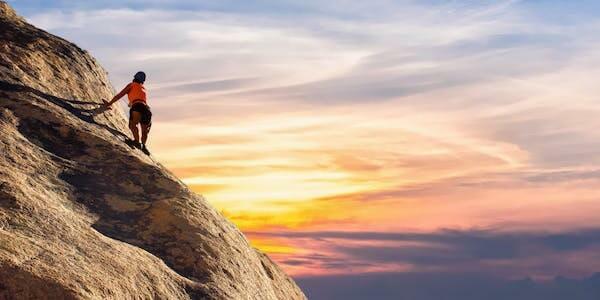 As with self-determination in many other contexts, those with a high sense of it are more likely to stick with their goals and eventually achieve them. Likewise, self-determination theory can explain some interesting phenomena in nursing and healthcare. For example, intrinsic motivation and autonomy drive patient compliance with medical instructions, but motivation to comply with standards is also significant for patients (Kofi, 2017). Another recent study provided support for the hypothesis that a health care practitioner’s autonomy support encourages patients to engage in healthier behavior, boosts their perceived competence in those behaviors, and can even enhance their sense of mindfulness in addition to helping them meet the three basic needs (autonomy, competence, and relatedness; Martin, Byrd, Wooster, & Kulik, 2017). Just as self-determination is vital for students in educational settings, it is vital for patients in healthcare settings. When patients feel they have little control over their lives and they are not supported in their decision-making by healthcare professionals, they will likely struggle to get their needs met and have worse health outcomes. Healthcare professionals should keep these findings in mind when interacting with their patients if they have an interest in encouraging healthy behavior outside of the examination room. It may be difficult to think about how self-determination skills can be taught or encouraged in others. This might feel like a trick question, since self-determination is, by definition, not directed by others! Self-regulation and self-management skills (Wehmeyer, 2002). For some practical suggestions on how to go about encouraging self-determination, check out the worksheets described below. If you’re looking for activities and worksheets for children based on self-determination theory, look no further than this comprehensive resource: Early Steps to Self-Determination from Sharon Field, Alan Hoffman, and Kay Cornell. Please note that this book is still in draft, so there may be some changes made before it is finalized. However, draft or no, this PDF is an excellent resource for anyone who wishes to promote self-determination in young children. There are activities, exercises, and worksheets grounded in these four areas for children from kindergarten to 5th grade. A few examples of worksheets and activities found in this PDF are highlighted below. This worksheet is the first in the book. It corresponds to the “Know Yourself” component and is intended for children in kindergarten. The point of this worksheet is to help the children become more self-aware and get to know themselves better. If you’re using this worksheet in a class setting, you can have a few children share their answers with the class each day to help them express themselves to others. This worksheet can be found on page 18 of the PDF. This worksheet was developed for kindergarteners and is intended to help them learn how to value themselves. The teacher should pass out the worksheet and instruct students to think about something that their teacher, parent(s), and friend feel is special about them. Completing these three simple prompts will get kids thinking about what makes them special and why they should value themselves. You can find the worksheet on page 146 of the PDF. This worksheet for fourth graders targets their ability to set goals and plan. The teacher should provide students with the worksheet and something to write with, and instruct them to create a new holiday and write about it. What will you name it? Describe the holiday and its purpose. What will become the traditional colors? What music will you have? What will people wear (clothes)? What activities will be a part of this holiday? Add any additional details you think are important. The point of this worksheet is to get students comfortable with thinking ahead and planning things, including all the little details. You can find the worksheet on page 319 of the PDF. Although these are all intended for children, there are also some worksheets out there targeting self-determination in adults. The worksheet below is one such example. This worksheet was developed for those suffering from obsessive-compulsive disorder, or OCD, although it could be adapted for use with many other mental health diagnoses. It begins with a quick overview of motivation and presents the motivational continuum we went over earlier. The individual completing the worksheet is instructed to circle where he or she is on the continuum in regards to treatment for OCD. Why are you in treatment for your OCD? When treatment is difficult, why do you choose to persevere (i.e., what do you want to achieve, what values motivate you to fight OCD)? Who can you look to for support? Where can you find stories/messages of hope? What have you been able to accomplish in treatment? What skills can you practice to develop a sense of mastery over your treatment? Where can you find helpful information about OCD and its treatment to help you in your recovery? What negative functional consequences result from your OCD and how can you use them for motivation? What perceived positive functional consequences have you identified from your OCD? How can you achieve these same behavioral outcomes without your OCD symptoms (think creatively about how to reach those goals in your life without OCD)? What ideas do you have for enhancing your motivation? 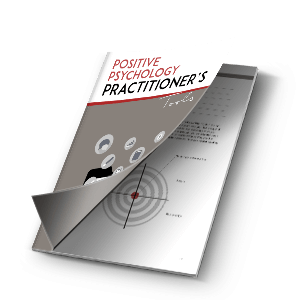 The final page includes a worksheet on what is termed the “Greater Good Perspective Shift.” You can find it here on page 4. If you’re the type of person that loves a good quote, we’ve got some great ones related to self-determination for you! See if any resonate with your personal view on self-determination. I hope you enjoyed this piece on Self-Determination Theory. It’s a great theory to become familiar with if you plan to have any kind of career in which you help people (e.g., counselor, coach, teacher, healthcare professional), but it’s also a great theory to understand in general. Although this theory has the impressive ability to predict outcomes of behavior based on motivations for that behavior (at least in part), the real value for the individual comes in the form of understanding the self better. When we know our core values and understand that pursuing intrinsic goals aligned with those values will make us far happier and satisfy our needs better than pursuing any extrinsic goals, it becomes much easier to make better choices. If you take one thing away from the piece, let it be that you—like all people—are fully capable of making choices and finding your own way. As long as you pursue goals guided by your authentic values and desires, you have a great chance of success! 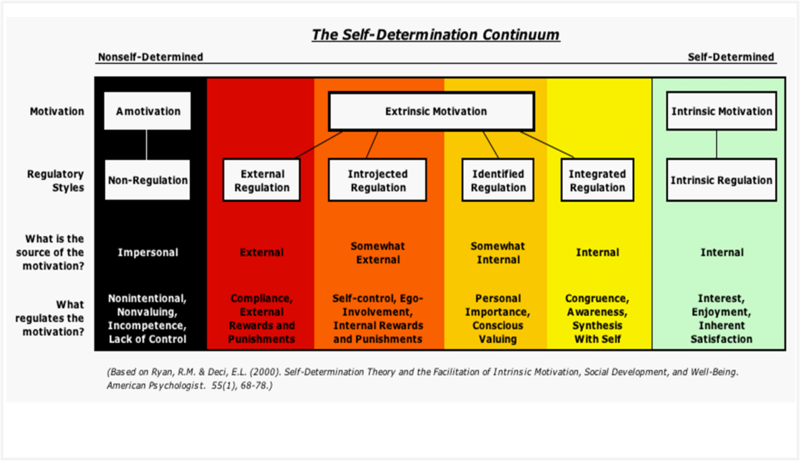 What do you think about self-determination theory? 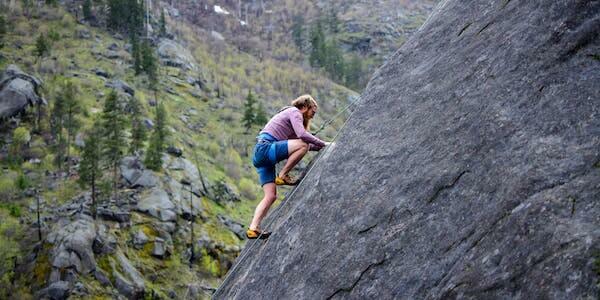 Do you think intrinsic motivation is always more effective than extrinsic motivation? Which do you find drives you more? Let us know in the comments! Moving from Vietnam to the United States has allowed Nhu Tran to develop her knowledge and skills in many different ways. She hopes to be able to utilize this knowledge in order to make a positive impact in people’s lives. Ryan, R. M., & Deci, E. L. (1985). Intrinsic motivation and self-determination in human behavior. New York, NY, US: Plenum Press. Wehmeyer, M. L. & Palmer, S.B. (2003). Adult outcomes for students with cognitive disabilities three years after high school: The impact of self-determination. Education and Training in Developmental Disabilities, 38, 131-144.